You didn’t think my family and I would head out to an all-expenses paid trip to Universal Orlando and Island’s of Adventure and not get something out of it for you? No way! a package of two-day, two-park tickets for four people. Each package of four is valued at $539.96 USD and the winners will have until June 11, 2012 to use the tickets, or forfeit prize. We are truly excited to host this giveaway since I experienced a beautiful new stage in my girl´s life and saw her blossom after spending a week visiting Universal Orlando and Island´s of Adventure. We would love to pass it forward and have your kids experience the thrills and magic of these theme parks that bring both movies and books to life. Experiences like these are better lived than told about. The closest we can get to showing you how amazing this place is for a family with kids of all ages is this video that my husband put together for us. In the video below you will catch just a glimpse of how much fun a preschool-age kid can have at both the theme parks and the on-site hotels. Song featured on the video is “Holiday” from Vampire Weekend. Get it here. Special thank you to the Loews Portofino Bay Hotel for treating us with special care and attention. Staying at one of the three Universal on-site hotels is truly the way to go. 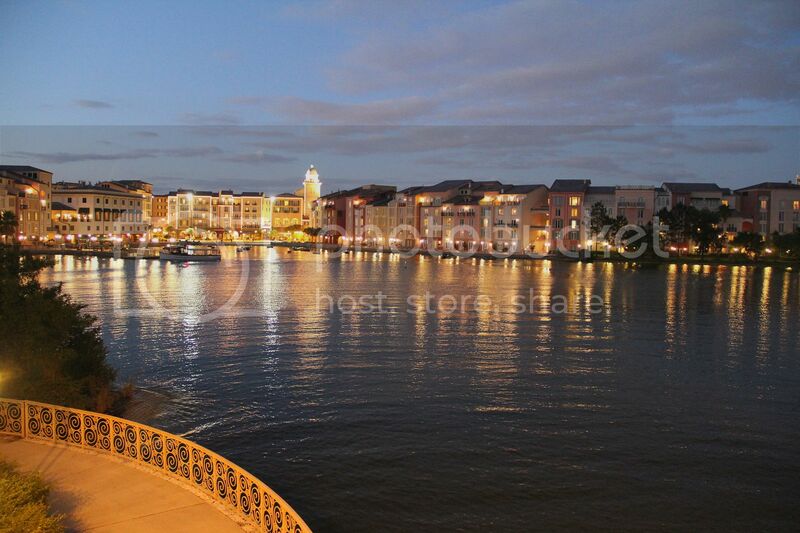 You will feel miles away from everything, but will be just a boat ride away from the theme parks and Universal´s CityWalk. Not only that, but you get the added perk of being able to use your room key as an Express Pass to most rides and also early admittance to The Wizarding World of Harry Potter (Butterbeer for breakfast?). Just watch this video from Jennyonthespot.com and you´ll be convinced of the awesome-ness of this place! This giveaway is now closed. Congratulations to the winners: Amy Saucer and Iliana Blair! Have fun in Universal Orlando!! Thanks to Universal Orlando Resort TWO of you will each win a package of two-day, two-park tickets for four people. Each package of four is valued at $539.96 USD and the winners will have until June 11, 2012 to use the tickets, or forfeit prize. Note that transportation, accomodations, meals, etc are not included in this prize. Tickets only. To enter visit the Universal Orlando Resort website here and tell us which of the attractions you want to visit the most and why. 2. Follow us on Twitter and tweet about this giveaway including a link to the post and @SpanglishBaby and @UORNews. Copy the link to the tweet in an additional comment on the giveaway’s post. This giveaway ends Thursday, June 9 at midnight PST and is open to everyone over 18 years of age. Check out the Giveaway Rules. The attraction I would like to visit the most at Universal Orlando Resort is The Wizarding World of Harry Potter! the attractions i would like to visit the most is the wet and wild water park and the cat and the hat. my son love water, but he also like Dr Seuss books. thank you!!!! Wow, this is a really good one girls, thanks. My kidl would go nuts for Dr. Seuss Land. Jurassic Park land looks really cool too. There are two rides that my kids have informed me is a “must try”! The Harry Potter ride and the rocket! I have not been there is soo many years so there would be tons of new attractions I would like to ride. I want to definitely ride The Wizarding World of Harry Potter because the books and movies are a favorite of mine. I’ve heard many good things about it. Already an email subscriber. that’s how I heard about the giveaway. I follow on Facebook Jessica K.
My daughter would love to see the Cat in the Hat and I would love to experience the Wizarding World of Harry Potter!!! I already follow SB on Facebook! Harry Potter and The Forbidden Journey ofcoarse! And in lying if I say “for my son”… I loved the books as much as he did!!! I want to visit all the Harry Potter stuff!!!! I’m already an email subscriber…that’s how I found out about the giveaway! I think we would LOVE the Wet n’ Wild Waterpark a ton!! Water park and Dr. Seuss! I like the Harry Potter and the Forbidden Journey and the Cat in the Hat because the movies are a favorite of my family.. I actually would LOVE to show up in the Wizarding World of Harry Potter! I watched the season of Celebrity Apprentice when they made a promo for it, and that really piqued my interest. What an awesome prize! I follow SpanlishBaby on twitter. Amazing video! What talent the two of you have. Hope to see you soon! We have never visited Universal Orlando Resort, but my sons would love the Amazing World of Spiderman as they are huge superhero fans! We would LOVE to see the new Harry Potter section of the park!! Dr. Seuss Land for my one and a half year old and Jurassic Park for my husband. My little one loves to watch the cat and the hat! This would be a great treat for my family since we have had a hard year. It’s a toss up between Harry Potter for me & my hubby & Seussland for the kiddies =) We’re kids at heart so the whole family would enjoy this! We have never visited Universal Orlando and my family and i would be thrilled to participate in this giveaway. We would love to visit the Wet ‘n Wild Waterpark. Last summer we were worked very hard on learning how to swim and seeing water as a friend instead of being afraid of water. The fact that the waterpark offers miniture versions of adult rides will be beneficial and ideal to practice what we learned about swimming. This is such a generous opportunity. Thank you so much. I think my son would love the Spider man Adventures the most, but they all look awesome. I think it all looks great but I have a little boy and a not so little boy who are Spider man fanatics so without a doubt that would be the first stop. My 6 year old would go bananas for pumpkin juice and to ride a Hippogriff in the Wizarding World of Harry Potter. My 3 year old is obsessed with the Cat in a Hat! Our whole family would love this vacation. Thanks for the contest!!! Like SpanglishBaby on Facebook, A big fan! I would love visiting the E. T. Adventure. My grandson has always loved E.T. and we have watched the movie a hundred times! I would love to take him to see the adventure ride! Phyllis Dolen´s last post ..gaynycdad- Thomas The Train New DVD Giveaway! I would love to see Harry Potter. Gingerannbeck´s last post ..Writing Club with Cousins! I follow spanglishbaby on fb. I would love to take my daughter to Cat in the Hat. She loves him! I have been dying to get to Orlando to take my son to the Wizarding World of Harry Potter. He is a Potter fanatic and I know it would just blow his mind to get to go there. Thank you so much for the excellent giveaway. I’m already a subscriber, that’s how I found out about your giveaway. Kelley L likes you on facebook. I would love for my boy to experiece The Cat in the Hat , and all Dr. Seuss rides!!! It would truly make him love the books so much more!!! Right now he’s just 2 but loves his first Dr. Seuss Book, green eggs and ham!!! I don’t let my kids watch many scary movies, but they both got to see jurassic park and were less scared than me (and I was a teenager when I first saw it!) . Maybe the ride will give them a thrill! OMG! Pick me!! LOL. How exciting, we LOVE to travel, if you pick us I wont disappoint! My two children ARE fish, so I would take them to Wet & Wild at Universal Studios followed by The Cat in The Hat theme park because The Cat in the Hat ROCKS. Facebook: I am already a fan! Twitter: I will tweet it out Lightning fast! Email: I am subscribing faster than you can say Spanglish! My husband would kill for the Harry Potter one but since our girls are young and love Dr Seuss any would work for us! my son would love The Cat in the Hat!!! The Wizarding World of Harry Potter of course!! It looks like so much fun to be transported into the world of Harry. I know my daughter would LOVE the water park as she loves anything water. The Harry Potter looks incredible! Thank you!!!! I subscribe via e-mail Thank you! I like Spanglishbaby on facebook Thank you! I would love to visit the Harry Potter world. My children LOVE Harry Potter, can’t think of anything that would be more exciting than taking them to see the books brought to life. My kids would love to see The Amazing Adventures of Spider-Man. And I would love to see their SMILES. I am already an email suscriber. That is how I found that about this giveaway. Oh, forgot to say in my last post that I am now an email subscriber and I “like” you on Facebook, too! I’m dying to see the Wizarding World of Harry Potter! A few friends have been and come back with rave reviews. I would like to visit Universal Orlando Resort is The Wizarding World of Harry Potter! I DEFINITLY want to visit the Harry Potter And the Forbidden Journey attraction the most, actually anything in the Harry Potter land would be amazing! What a great giveaway fingers are totally crossed for this one. Long time email Subscriber of yours. The ride that I want to do most is The Incredible Hulk Roller Coaster. I always enjoy the thrill ride. I like you on FB as sarah linette. I subscribe to updates via email. Hello, I am a fan already on Facebook. I would love to win this game because I am a single mom, you know how hard it is to strech money when you only have one income. Anyway, I have always been in love of the Orlando theme parks, and have taken my daughter Valeria (5 y/o) a couple of times, however, she has never been to Universal Studios, we became obsessed with Harry Potter last year when my niece Isabella (10 y/o) started watching them and I followed, so I am up to date with the movies, totally love them and I would be awesome to go and see the Wizarding World of Harry Potter and take my daughter and nieces with me. The park is great, because it has activities for all the ages, so I think it would be exciting and a great vacation for my whole family. Thanks! My grandson would LOVE the spiderman attraction! I want to try Hollywood Rip Ride Rockit®. I love roller coasters and this one looks amazing. I want to ride on the Popeye & Bluto’s Bilge-Rat Barges water ride. Those are always a blast! I want to visit the Spiderman attraction. I hear it’s getting a makeover with better effects. I definitely want to do the thrill rides – and the Rip Ride Rockit looks like it would be amazing! 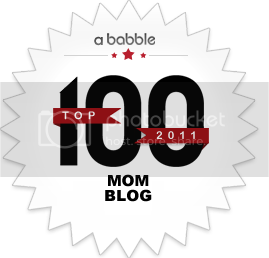 I like you on FB – liz t. n.
My kids are doing to go to the Wizarding World of Harry Potter! The Incredible Hulk Roller Coaster at Universal Islands of Adventure — looks so SCARY — and FUN! The simpsons ride, we went on it before and it was funny. without a doubt – my first stop would be the wizarding world of harry potter! looks so amazing!
. . . and I follow you on FB, too! Harry Potter ride is what we want to see! We want to see Harry Potter. Am I the millionth person to say that I want to see the Wizarding World of Harry Potter? Yes I am a 35 year old woman, my kids are too small- but I don’t care!! thanks! I like you on FB (farrah r) thanks! I love “Hollywood Rip Ride Rockit Coaster”, “The Mummy”, “The Hulk”, and the “Dueling Dragons” rollercoasters, because I just love all rollercoasters and riding them over and over again. 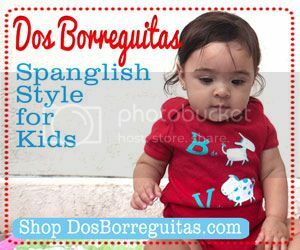 I “Like” Spanglish Baby on Facebook. I would love to do the Jaws ride. It is a pop culture movie that I loved as a teenager and now my kids have seen it and loved it. It would have to be the Wizarding world of Harry Potter because I have read every book multiple times and I LOVE Harry Potter. I’m still hoping to get into Harry Potter, it’s always so busy. Dudley Do Rights Ripsaw Falls because my son loves water and it looks like amazing fun! Curious George play area because my son is a huge fan of him! I would love to visit the harry potter world because it looks so interesting and elaborate! I definitely want to visit the Wizarding World of Harry Potter! I think my family, especially my son, will absolutely love it!! Thank you so much for the chance to win. 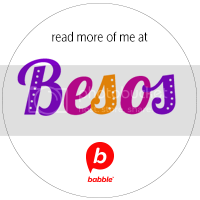 I subscribe to Spanglish baby blog and e-mail posts! I know my kids would love to go to the Wizarding World of Harry Potter! I also think the Twister…Ride it out would be cool. I would like to visit The Wizarding World of Harry Potter because we have not yet been able to see it and we love Harry Potter! I would love to see the Blue Man Group show with my older kids. I would love to ride the Incredible Hulk Roller Coaster! What a great giveaway! OMg! I can’t believe I just made it here in time! LOL! I had no idea! Ok…if I won…lol…I would absolutely love to go on the Jurassic Park River Adventure! I am a Dino-nut, an anthropologist and archeologist at heart and I love discovery and the water. Now…if you asked my hubby, he would tell you that Blue Man Group is where it’s at…he’s a live performance lover. My daughter would probably love the new zoo or the Barney show…but I saw there are a lot of great selections to choose from! Thanks for doing such an awesome giveaway. P.S. Does Universal still have Indiana Jones? Add that to my list! “Subscribed” to the feed! Thanks! I would love to go on the Shrek 4-D, The Incredible Hulk Coaster and the Simpsons Ride – I loved both Shrek and the Simpsons and the coaster looks like a blast thanks for the chance! I would love to win for my sons and husband who love the rides.. I would like to see the shows. Jurassic Park looks to be a fun place to start. I WANT TO GO TO THE HARRY POTTER WORLD!! We would like most to see The Wizarding World of Harry Potter. I would love to visit the MEN IN BLACK™ Alien Attack location. Our 1st stop would have to be to meet Spiderman & the Marvel Heros. My guys would FLIP to see Spidey! we would have to check out Jurassic Park. My son loves dinosaurs and was just telling me about a jurassic park in florida the other day. The ride I am most interested in would definitely have to be Harry Potter and the Forbidden Journey! I most want to see the Blue Man Group because they look like so much fun! I think everyone in the family would enjoy the show. I would LOVE LOVE LOVE to visit the Harry Potter and The Forbidden Journey, would also love to ride the Jurassic Park River Adventure. We’d like to do the whole Harry Potter section! we want to vizit the wet and wild water park plus its so dang HOT!!! love you guys thank you. 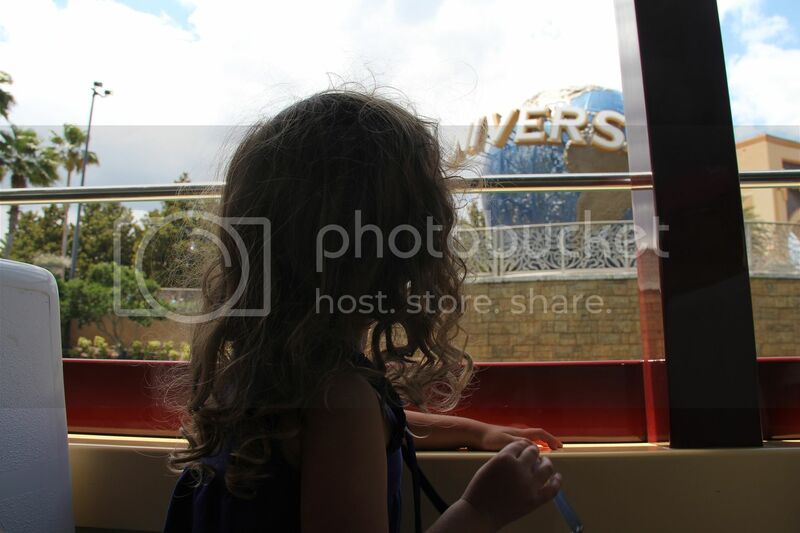 I think Fievel’s Playland because my little girl would love running around & playing with all the giant things, lol! I’ve been to Universal so I can tell you that in the past my favorite ride was Spiderman. However, I’ve been dying to go see The Wizarding World of Harry Potter! All of my family wants to visit the Harry Potter section of Islands of Adventure. I haven’t been to Universal FL since 1992, would love to go back and see everything!! I think it would be the rip ride rockit….because it looks like a blast!! My kids would love to visit the World of Harry Potter. I think we would love Harry Potter and the Forbidden Journey because we are big Harry Potter fans! I wouldlike to visi t A Day in the Park with Barney the most because my 2 year old is obsessed with Barney! I would love to see his face light up! Definitely the Wizarding World of Harry Potter because it is exciting and Harry Potter is a great series. I want to visit the Wizarding World of Harry potter because it is all my chuldren talk about. They would enjoy it very mich.